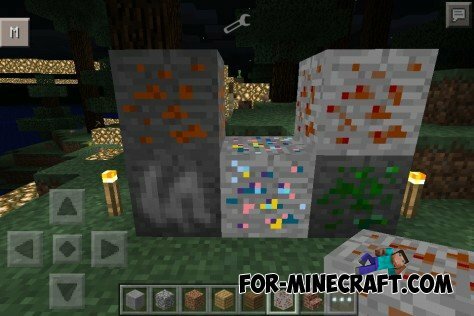 The mod adds a lot of new things - ore, blocks, swords, food. Generation 5 ore: the Diamond, Tin, Copper, Titanium, Minians. 6 types of ingots: bronze, titanium, copper, minians, tin, diamond, bronze. There will also be 1 super things such as Kirk of God (Vajara), the Sword of God, God's Axe. Food: the golden apples, carrots, fish, fried fish, two species of tropical fish and my favorite ice cream, wafer and gold watermelon (restores all HP). There will be items such as fishing rods with fishing. Tap a few times a fishing rod in the water and catch any of the fish. In general, a lot of delicious. Boss - Troll - calls tapom bowls.